The latest PlayStation Blogcast confirms what we already know; Mega Man Legends 2 is headed to PlayStation Network. When? Oh, how does Tuesday, April 5th sound? Yup! Real soon. 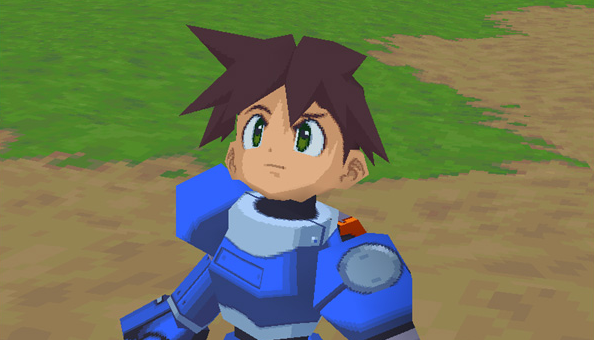 Mega Man Legends 2 will be compatible with PlayStation 3, PlayStation Vita and good 'ol PSP. We'll let you know when it goes live! Look forward to it. Awesome, I never had the chance to play this one. I tried emulating it, but it was always too choppy to play. Is it wishful thinking to hope that running this on PS3 will make the Nino Island ruins run smoother? I'm guessing most likely. Ehh... I'm not too sure about that. I think the only version to run the underwater levels at an acceptable frame rate would be the Japan-only PSP port. We'll see, but I think that's hard coded in, as in it's intentionally slow.